Centering our attention on the present moment is important in order to flow in harmony with life. However, our minds very quickly tend to get distracted. Try this: For one full minute sit comfortably and observe the second hand of a clock advancing, second by second to the next minute. Pay attention to every single second. Observe your mind. Most of us will notice that our minds quickly move away from this simple task. For instance, we might find that we start recalling something that happened earlier today or a few days ago, or that something around us sparks a chain of thoughts away from this present experience. We might also notice our tendency to start planning activities for the next few minutes, the rest of the day or of the week. Our mind, is doing its work, that is, the mind is processing the information it receives from the senses. We process information by establishing connections between what we perceive and something that we know already. In other words, our mind uses the ideas, sensations, emotions and feelings stored in our memory as a frame of reference that helps us understand, navigate and store the experience in which we are participating. Using the information we have stored previously is an important skill. However, sometimes we tend to change our memories, or to create memories for a variety of reasons, such as to make our choices seem better or to cover up trauma or to avoid facing uncomfortable truths. In other words, our memories may not reflect accurately past actions or events; yet this does not preclude us from attaching specific value to these memories as a measure to determine when something is good, bad, excellent or terrible. Here a challenge emerges. As Marshall McLuhan indicated, “When faced with a totally new situation, we tend always to attach ourselves to the objects, to the flavor of the most recent past. We look at the present through a rear view mirror. We march backwards into the future.” One way of interpreting this insight is that we use our memories to decipher and understand our new experiences. Consequently, our memories influence the way we approach new situations. For instance, as we enter a new moment, we look for similarities between this moment and our previous experiences. As we compare this moment with our memories, regardless of how accurate those memories might be, we tend to ascribe a value to each experience. Subsequently, we proceed to decide which experience we find more positive or valuable. This process is certainly important as it can help us learn from previous actions. However, as we saw previously, our minds tend to mold and change our memories for a number of reasons. Hence, our memories might not be very accurate. The challenge emerges when we allow our memories to become our model of “the way things should be.” Because once we feel we know the way things should be, we become reluctant to stay in the present moment and, instead, we keep comparing the current experience to another time and place, real or imagined. Every time that we compare our experience we are moving outside of what is and into what should or could have been. Often, the result is that we enter into conflict with the present moment. It is not uncommon to reject this moment because the experience is not exactly what we remember, what we hoped for or what we imagined. When we observe our thoughts, actions and reactions, we might catch a glimpse of our mind and notice if our mind is judging, rejecting, reacting or accepting the present experience. For instance, often as we practice asana, a particular type of breathing or a specific meditation, we start the practice with a preconceived notion about how it should go, even when the specific technique might be completely new to us. Frequently, if the outcome does not meet our expectations, we immediately criticize ourselves or berate the practice or our experience. When we start noticing this pattern of thought we are taking the first steps to move beyond this challenge. Our Yoga practice provides numerous techniques to strengthen the mind so that we can observe whatever we are doing. However, frequently the role of mind in yoga practice can be overlooked. During Yoga practice we need our mind to be actively present, engaged in the moment, observing our circumstances, observing our actions and our thoughts. In our yoga practice, regardless of what type of practice we are doing, movement (asana), breathing (pranayama), concentration (dharana), chanting (japa), and meditation (dhyana), we continually witness, staying with the present moment, doing what we are doing. Centering our attention on our breath is a simple and very effective way to stay in the present moment. As a result, we can notice how the moment is, and instead of reacting by judging, or criticizing, we can choose to accept the experience as it is. It is helpful to recognize that our current circumstances are the result of innumerable factors, most of them beyond our control. Without accepting this moment we can’t understand with clear mind what is happening and what we can learn from it. Once we accept and understand we can immerse in the experience guided by our breath. This is vital in order to take the appropriate steps here and now to honor our essence fully and thence move towards a clearer and truer expression of our selves. Acceptance of the present moment helps us stay open and to learn by recognizing that each moment is unique, even when the activity seems familiar or similar to something stored in our memory. As a result, we can flow harmoniously with life, doing the best that we can, no more, no less. Using the transformational power of Yoga to remove habitual patterns of thought and action, in this workshop we will combine a variety of yogic techniques on our journey toward balanced, joyful and loving relationships. 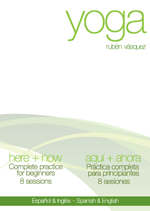 Instructor: Rubén Vásquez, registered with Yoga Alliance. This workshop is geared to creating personal clarity and balance and to prepare ourselves for meaningful participation in relationships. It is not required to attend as a couple. However, if both persons in a relationship are interested in attending together, their experience can be quite beneficial! In Yoga, the traditional techniques and practices are oriented to an inward journey of self-discovery. As we travel this path of continuous learning we develop our ability to notice and observe the feedback that emerges as a response to all of our actions. By developing our sensitivity to feedback, we can fine tune the quality of our connection to the world around us so that we can notice that every single action generates a reaction. However, many times our actions are habitual or automatic, and thus less than mindful. In those cases, we might fail to recognize that the feedback we receive is a direct response to our actions. For instance, let’s say that we need to drive somewhere when we don’t feel well rested. Let’s say we choose to drive, in spite of the subtle feedback from our body indicating that we need to rest. As we are driving, we may notice our eyes feeling a bit tired, but we decide to override this feedback by continuing to drive. In response, the self-adjusting feedback mechanism will automatically create a stronger message to draw our attention to what we are doing. As we continue driving we might feel that we are unable to focus our eyes clearly. Ignoring the feedback does not make it go away; instead it increases the strength of the message. So, as we continue driving our eyes may close for a brief moment. If we decide to stay on the road we may doze off and perhaps wake up as our car swerves slightly or abruptly. Choosing to ignore the feedback we receive can result in being forced to pause so that we can consider the effects of our actions. The feedback itself is not necessarily good or bad, it is just the effect of our previous actions. That is, the feedback we receive is not passing judgment on our past actions, it only communicates to us the effects of those past actions. The objective of feedback is to get us to pay attention to our actions so that we can choose our actions intelligently. In our Yoga practice, asana, pranayama, concentration and meditation, we learn to listen with undivided attention to physical, mental, psychological and emotional feedback because it provides important guidance in our personal journey as well as in our interactions with others and with the world around us. The feedback process operates at personal, interpersonal, societal and global levels. At this moment, in my opinion, we are witnessing feedback in the form of turbulence and turmoil at many levels throughout the world. Again, it seems important to emphasize that the feedback is neutral; it is not good or bad per se. What is important is to understand that the feedback is giving us an opportunity to observe our actions clearly and to notice their effects so that we can act mindfully and intelligently. As the year begins, my suggestion is to take advantage of this transition, first to gladly accept the opportunity to pause and second to use this opportunity to gain clarity about our circumstances and our options. Yogic practices are oriented to help us gain clarity by immersing ourselves into the present moment and connecting with our essence. Our essence is our true substance, that which is truly constitutive of our selves. Everything that is not our essence is temporary, accidental, impermanent, not necessary. According to the Yoga Sutras we tend to confuse what is essential and what is not. Wisdom is learning to distinguish between the two. In my opinion, when we take actions that honor our essence, the feedback we receive increases our clarity, well-being, peace and joy. I also believe, that life affirming actions benefit all who are involved. As you might be aware, the path of Yoga is experiential. Here is a practice that can be helpful in gaining clarity so that we can direct our attention and energy toward life affirming actions at all levels. Sit comfortably with your spine erect and your chin level. What actions took me out of balance? What actions made me feel confused, angry, upset? What actions brought peace, joy, balance and meaning into my life? Each time you inhale ask yourself what am I grateful for? I hope that your New Year is filled with joy, love, happiness, meaning and excellent health. Giving thanks is a way to remember that our situation in life is in some, or in many ways, privileged. It will probably not take long for us to find countless examples of other people who may be in more challenging or difficult circumstances in their lives. Being grateful is a way to express our appreciation for the gifts we have received. In other words, expressing gratitude reminds us that we are constantly participating of the interconnectedness of life, that is, we are not alone. I feel that this is reason enough to feel comfortable and happy. 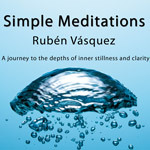 Many of us feel that meditation is a very complex and esoteric practice. However, meditation is just a way to experience who we really are, right here and now. Here is a simple and easy gratitude meditation that can help experience the happiness and joy of being alive. Sit in a comfortable position, if possible with your spine erect but not rigid. Allow your breath to flow at its own pace. Listen to your own breath for a few rounds of inhalation and exhalation. With each exhalation let go of whatever is not part of this moment. If you notice any tension in your body, for instance in your shoulders, face or anywhere else just let go of it as you exhale. As you feel ready, ask yourself if there is anything in your life to be thankful for. You don’t need to think too hard or concentrate too intensely, instead let the question resonate with your whole being. You may find that some reasons start emerging into your consciousness without effort. In case nothing seems to come to mind, notice if there is anything in your immediate life that you appreciate, such as the ability to breathe, sleep, smile, feel, taste, laugh, love. Feel the sensation of gratitude and remain aware. Remember to also give thanks for obstacles, challenges and difficulties, because they provide us with opportunities to learn about ourselves and about others. Each time you give thanks, draw a gentle smile on your face. Allow your gratitude to expand gradually out into the whole universe. For the last few seconds immerse completely in the sensation of gratitude. Notice how you feel. You might feel relaxed, renewed and more in contact with yourself and with the world around you as you practice this meditation. You can practice this meditation for just a few minutes or longer if this feels appropriate. If possible, I would suggest trying this meditation for 2 weeks, just for a few minutes each day, and noticing its effects throughout the day. You can also take short ‘gratitude breaks’ during your day by pausing for a few moments to express your gratitude as it feels best for you. I hope you find this practice helpful and enjoyable. I extend my heartfelt thanks to you. Yoga is an empirical science, in the sense that it requires us to apply what we learn in order to observe for ourselves the results. In other words, Yoga is not an abstract exercise but a lived exploration that behooves us to bring the practice to life. From this perspective, it seems important, perhaps essential, to direct our inquiry often to the foundation of our practice. The question “why do I practice Yoga?” is a cornerstone to our practice. Asking ourselves this question helps us examine and reflect on our practice while, at the same time, it ensures that we keep our practice from becoming a mechanical repetition of tasks. When we ask “why do I practice Yoga?” we are interested in answering the question sincerely and wholeheartedly at all levels, especially through our actions. That is, we incorporate the question into our practice by observing if we are honoring our answer through our intentions and actions. The answer to this question, most likely, will change over time reflecting our interests, circumstances and stage in life. However, our sincere interest in living the answer will remain unchanged. And you, why do you practice Yoga? Consistent Yoga practice produces a significant change in the quality of our breathing. We start noticing that our breath becomes more smooth, unobstructed and deeper when we practice Yoga mindfully and with regularity. Although this is generally true when we practice various of the traditional limbs of Yoga, this change is most easily observed in our asana practice. The 2 techniques I would like to suggest are related to observing closely how we breathe. These techniques build on the foundation of breath awareness and on the benefits of using ujjayi breathing. The objective of these techniques is to guide our attention inward and to focus our awareness to our present actions. As a result, the quality of our participation increases, leading us to immerse more fully in our Yoga practice. In turn, this facilitates our more present participation in our daily activities. The first technique is to concentrate our attention on the sound of the breath. An easy way to direct our attention to the sound of our breath is by using ear plugs during our practice. Using ear plugs makes the sound of our breath more noticeable which also helps us focus our attention inward. For most of us, noticing more the sound of our breath may not prevent our mind from wandering. However, it will be easier to notice when the mind gets distracted and therefore we can choose to return our attention gently to the breath. In many cases, just feeling the ear plugs in will serve as a reminder to listen attentively to the breath. Eventually, consistent practice strengthens our capacity to focus, and then the ear plugs will have achieved its function and will no longer be needed. This technique is an integration of pranayama and sense withdrawal (pratyahara). Once it becomes easier to observe the breath consistently, we can try to develop a greater sensitivity to the movement of the breath. The second technique further deepens our attention by focusing on the subtle aspects of breathing, specifically by observing the transitions between inhalations and exhalations. As we observe with clear attention the continuous movement of breath, we focus on the brief pause between inhalations and exhalations and vice versa. Noticing and focusing on this brief pauses often increases our breathing capacity. 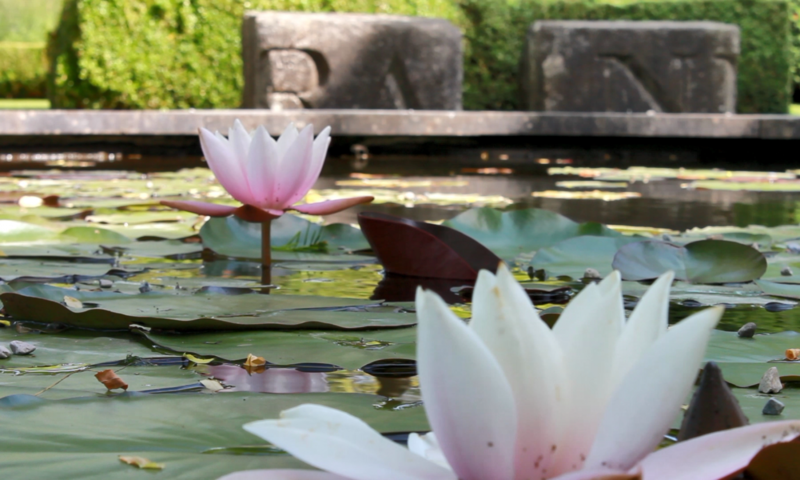 Most importantly, it also increases our awareness, thus bringing a meditative quality to our practice. It is important to remember that the breath at all times continues to be smooth and unrestricted. As we practice this technique we can explore the effects of slightly lengthening these pauses. Like with any other techniques, we observe our practice before and after using these techniques and we notice how each technique works and if it has any beneficial effects. I hope these techniques are useful to deepen your practice. It seems undeniable that we live in times when faster is generally equated with better, at least at the surface level. Many of us feel like the pace of life has gotten too fast, even out of control. One manifestation of this mindset is our urge to save time, even just a few seconds, whenever we can. This pervasive ideology has a connection to the notion of instant gratification, which might be somewhat or quite familiar for many of us. Some people argue that civilization is revving itself into a pathologically short attention span. As a result, we often rush through our actions and activities without making time to be present. This can be called the short attention span perspective. The short attention span perspective can be characterized as a continuous movement of the mind without clear focus. In contrast to the short attention span view, we can think of the focused perspective as clear and focused attention to one moment in time. In other words, while the short attention span can drive us to rush through the present moment, the focused perspective can acts as an excellent way to prepare us for the long view. Obviously, all things in life have an inherent pace to them. That is, some things happen at fast speed, like lightning, others happen slower, like the rotation of the earth around the sun. The focused perspective mindset, by its own nature, concentrates our attention, if very briefly, on specific, discrete aspects of our experience, while the long view tries to deepen our understanding in terms of time. When we favor only the focused perspective, it is difficult for us to gain perspective and notice changes, tendencies and patterns that develop, shift and transform over time. When we favor the long view approach only, it may be more difficult to relate to the specific circumstances of the present event. Clearly, focusing on one point is the first step towards maintaining our attention over time. Thus, our focus on the present moment provides the point of access into the long view. The interplay between these two views is exemplified by the Long Now Foundation, an organization concerned with “fostering long-term responsibility” and when they say long term they mean thinking not in terms of months or years but in terms of the next 10000 years. The idea is to link our present actions to long term thinking. From a Yogic point of view, we could interpret the focused perspective as the traditional limb of Yoga often translated as Concentration (Dharana), focusing our attention on one point. On the other hand, sustaining our attention on the same point over a period of time is the Meditation (Dhyana) limb of Yoga. We can think about the latter as an expression of the long view approach. Yoga has been around, according to different sources, for at least a few millennia, yet its teachings are still astonishingly relevant and applicable today. Thus, it seems that even though the tradition of Yoga has been preserved and transformed over a long period of time, its application, which can only happen one moment at a time, is actualized through the focused perspective. That is, the teachings handed down over time are lived and put into practice in the realm of the focused perspective. Moreover, for many of us, the short attention span perspective can have a dramatic impact on our Yoga practice, in any of its manifestations. For instance, sometimes, especially with practices that are challenging for us, like sitting still for a specific amount of time, breathing mindfully or moving into a specific posture, we might feel inclined to try to get our practice over quickly, so that we end up rushing through it. As a consequence, our practice betrays the very essence of Yoga, a journey of self-discovery. Rushing through our actions prevents us from experiencing the practice at all levels, particularly keeping us from learning by observing how we deal with frustration, impatience and challenging situations. Maybe we can meditate on this question: How would my practice be if I remember that I have the rest of my life to practice? Special Class – Total Yoga Experience: Asana and Beyond. Yoga is much more than physical exercises. Yoga is a complete system of practices that create a deep-rooted sense of stillness & awareness. The Total Yoga Experience is a unique class that offers students at all levels an experience of Yoga that integrates body, breath, mind & spirit. In this class we will work from the outside in, from the outer body into more subtle aspects of our being. This practice is an integrative exploration of diverse traditional Yoga techniques. This is an excellent class for students to become more familiar with various Yoga and meditation techniques. . For more experienced practitioners, this class provides an excellent way to deepen and strengthen their practice. Clase Especial en Bogotá – Colombia : Experiencia Total del Yoga: Más allá de las Asanas. La Experiencia Total del Yoga es una clase única que ofrece a los participantes de todos los niveles una experiencia de Yoga que integra el cuerpo, la respiración, la mente y el espíritu. Esta clase usa varias técnicas de Yoga en una secuencia que relaja el cuerpo desde afuera hacia adentro, desde el nivel físico hasta los niveles más sutiles. Asana, ejercicios físicos en los que se sincroniza el movimiento con la respiración. Nidra, técnicas de relajación guiada para crear calma y claridad profundas. Pranayama, ejercicios de respiración tradicionales para mejorar la respiración y ayudar a optimizar la concentración. Cantos para enfocar la mente, la respiración y el cuerpo en preparación para la meditación. 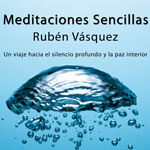 Meditación guiada para sostener la concentración y encontrar calma y la claridad. Esta clase está enfocada a personas interesadas en explorar diversas técnicas del Yoga de manera integral. Esta es una clase que sirve como introducción al Yoga y a la meditación. Participantes que tengan más experiencia con el Yoga pueden usar esta clase para afianzar su práctica y explorar diferentes técnicas. Instructor: Rubén Vásquez, instructor registrado con la Yoga Alliance en los Estados Unidos. Frequently our minds tend to complicate things. The mind thrives creating elaborate systems of thought composed of nicely packaged concepts and ideas. This is not a bad thing; in many cases those complex systems built by the mind are quite useful. However, very often the complexity of those systems obscures what is otherwise simple and clear. The documentary film How to Cook Your Life follows zen chef Edward Espe Brown as he guides zen practitioners in exploring the connections between cooking, zen practice and life. Among other clear and powerful messages in the movie, there was one that I enjoyed because of its utter simplicity. Espe Brown says something like: “do what you are doing; if you are chopping carrots, chop carrots, if you are kneading dough, knead the dough.” It sounds like a message that is too simple. Yet its simplicity is imbued with deep wisdom. This succinct message highlights the importance of mindful action, paying attention to what we are doing. When we are fully present, doing what we are doing, we participate and we engage in all actions for real, wholeheartedly. Consequently, all of our attention is focused on the tasks at hand. That is, we become one with the activity in which we are participating. This alignment results in mindful and meaningful actions. Our actions are instrumental to learning and, thus, mindful actions result in deeper knowledge which, in turn, enables us to continue learning and growing. Moreover, our complete participation also prepares us for future actions and circumstances, including learning to accept the outcomes, positive or negative, of our actions. It seems quite simple to just do what we are doing. However, why is it that many of us find it difficult to accomplish this? The distractions in our daily activities seem endless. They emerge in varied shapes and guises, and what they have in common is that they manage to take our attention away from what we are doing. When we follow the source of distraction the quality of our participation diminishes and the outcome of our actions is affected. In Yoga is a practice we talked about Yoga practice as a laboratory where external sources of distraction are reduced, therefore, making it easier for us to focus and sustain our attention. Here is a suggestion to “do what we are doing” when we are practicing Yoga. For the first couple of minutes of your practice, allow anything that is not part of your practice to drift away with each exhalation. Repeat to yourself with full attention and feeling: “I will focus my undivided attention on this practice, here and now”. Give your mind a simple task to do in order to keep it from getting distracted. For instance, ask your mind to observe the sensations at the points of contact between your body and the ground with each exhalation, or notice, to the best of your ability, what happens during the transition between each inhalation and each exhalation. Practice according to your intention with engaged attention, and whenever your attention gets distracted, gently bring back your attention, inhale, smile and continue practicing. Notice that these suggestions might be useful to focus while doing activities other than Yoga. As usual, try these suggestions a few times and notice if they have any influence on the quality of your participation and on the overall quality of your practice. As you practice this way you strengthen your ability to concentrate on and off your Yoga mat.